Hello, i'm a long time lurker, I registered to make everyone aware and especially the developers of an open source upscaler called ESRGAN (Enhanced Super-Resolution Generative Adversarial Networks). What it is? Basicaly it's 'zoom and enhance'. 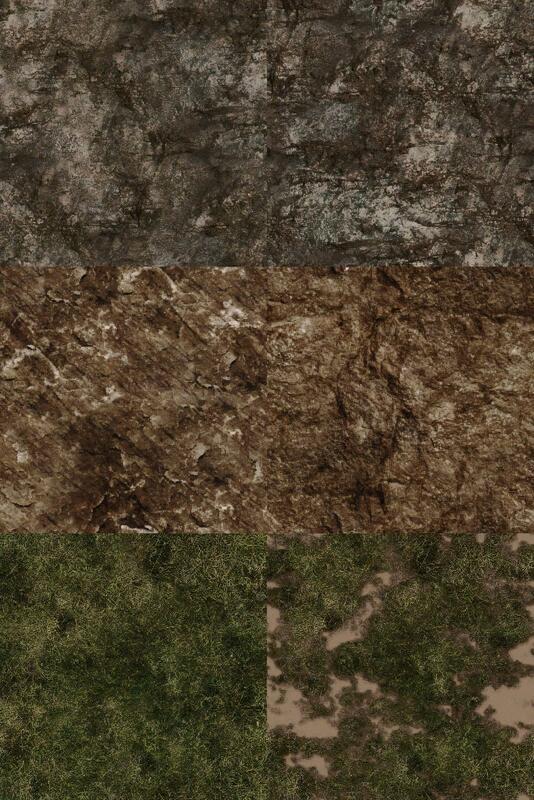 It can be used to greatly improve low quality textures. 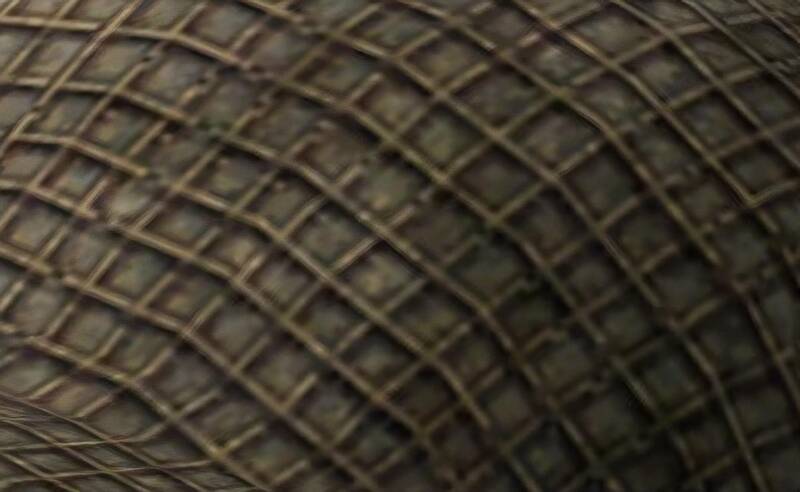 I don't have access to direct textures, so I took a screenshot of a texture in-game, and then enhanced it to 4k with ESRGAN, the difference is obvious. Imagine if I can achieve such result with just a screenshot, what could the devs achieve with their original textures. What the devs would need to do? All they have to do is run all of their textures through ESRGAN (or SFTGAN which is a different version) and then put them back into the game. Very interesting Markec. I and several other team members have shared this with the team leaders to investigate and see if this is a viable option for us with updating some of our legacy textures. Very interesting. Hopefully it can be used. very smart and hopefully do-able. thank you for the very specific, positive recco and examples. I was under the impression the bulk of the vehicles were created at extremely gorgeous artwork and were 'dumbed down' to fit the graphics card budget. So wouldn't you start with the already top end source and just create a higher fidelity version as higher qualities are desired? I could see common other textures benefiting from this if they weren't done to the higher standards originally. I don't even remember what the top of the line video card was when we started this, but we had a very limited poly budget at the time. A few vehicles and terrain objects have been reworked over the years, but with the exception of a few newer models that do have higher resolution texture maps, nothing has happened to the bulk of the texture maps over the years besides being converted from bmp to dds. As an example, the last terrain build Doc did was 2012, and it didn't make it into the game till just this last year with Merlin, Sniper, and Frisbone's dogged determination to figure out how to make it happen. So that's a good timeline with nothing being done terrain wise in all that time. That means the majority of the textures covering all the octets making up a supercell on the ground are likely 256X256. The airfields, the entire airfield square 256X256. 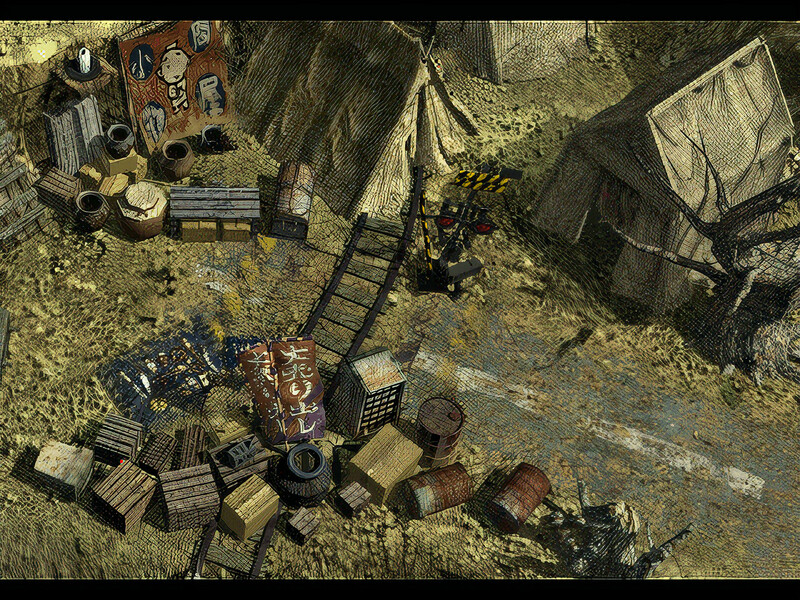 ALL the objects on the terrain probably the same (not counting new bunkers and barracks). Vehicles? The same as well except for the latest few, Bmbm would probably have a better idea. 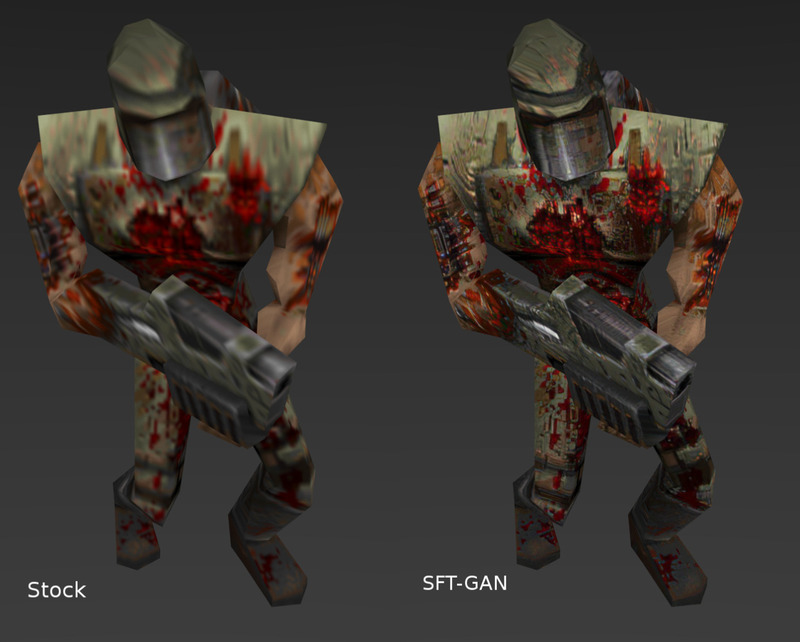 I think what you might be thinking of is the new infantry and small arms models. Those are incredibly high poly and "baked down" enough not to bring the client to its knees, and that goes for the new crewmen on the towed guns that have been replaced as well. If you want another good example vehicle wise, go look at any of the ships in external view, or at any of the crewmen or pilots in the vehicles. Most of that is original artwork. So yeah. This could be an amazing gain for the game for a little amount of work. Score! Oh man you guys are in for a treat ! With this you can make even 8k and 16k texture if you so desire, because ESRGAN/STFGAN adds detail to every enlargment just like a real artist. So just enhance the enhancement and then enhance it again to whatever texture resolution you desire / looks best. There is no limit to what texture size you can make. can it work with DDS format, or does it require converting to PNG or other format 1st? Yea I think it needs to be a picture, jpg, png. I was enhancing a png. I don't even remember what the top of the line video card was when we started this, but we had a very limited poly budget at the time. Probably the GeForce 2 GTS/Ultra. Vehicles? The same as well except for the latest few, Bmbm would probably have a better idea. Largest texture atm is 2048x2048. If we could double or quadruple that it’d be neat, tho at the cost of a heftier DL. Not sure how much the current engine can take wrt loading, so erring on the side of caution. had to be voodoo3 as the original geforce1 wasn't fast. at launch, geforce3 had likely just hit the market. everyone's cell phone has a GPU significantly more capable. I was actually going to post about this; beat me to it! ESRGAN/STFGAN adds detail to every enlargment just like a real artist. So just enhance the enhancement and then enhance it again to whatever texture resolution you desire / looks best. This is getting to be a pretty long thread, but I haven't seen any technical explanation yet of how these programs operate so that the image changes they make are positive contributions to the original artist's creation of a realistic depiction. I appreciate that as they upscale they're doing a lot of sharpening, so that what otherwise would be a smooth gradient now is a minimal gradient, a sharp edge and another minimal gradient. That's just mechanistic, though. In this game in particular, maybe just that change would be useful, because the existing 2k x 2k and smaller textures are sometimes displayed close up, way overzoomed for their resolution. But, a further problem with 2k x 2k or smaller textures that are going to be displayed close-up is that the original artist had to average-out the realistic detail finer than the original texture could represent. It's that finer detail that needs to be added in during a process of moving to higher res textures. The statement above says that ESRGAN/STFGAN will do that. How does that work? Edit: https://github.com/xinntao/ESRGAN/blob/master/README.md seems to say that this is "just" a very well engineered upscaler/sharpener. No negative spin intended...it's excellent at what it does...but it doesn't add detail. It only sharpens what the original artist put there so it doesn't look so bad when displayed larger than the perceptual limit of the original resolution. As I said above, this doesn't "add detail to every enlargment just like a real artist". It "just", via excellent engineering, upscales and sharpens the detail the original artist / image creator put into the original-limited-resolution image. That by itself is a very useful capability. It takes an image that looks like a wetted watercolor at excessive zoom, and makes it look much better. Adding new content to the modified finer-resolution image though, so it will look realistic when displayed at high zoom, is not described as part of the program's functionality. 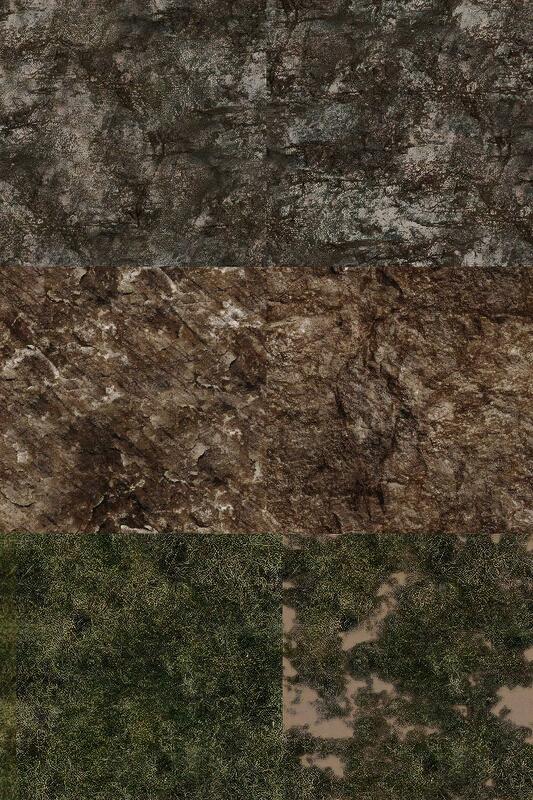 Assuming that a decision is made to enlarge the size of the downloadable to include larger textures, I think the question is: is the improvement from ESRGANing the low res textures enough less work to justify that the result is not fully realistic? 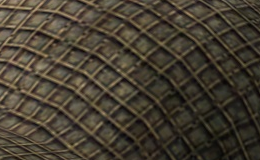 Or, when a higher resolution file exists from the original artist's creative work and that file originally was downscaled to make the low res texture that's been in-game, would it be an unfeasibly greater amount of work to find that original artist's high res file and create the larger game texture directly from it? Of course, it's never going to add detail, it can only use what data is already in the image but it could still improve things until we can get an artist to create new textures.